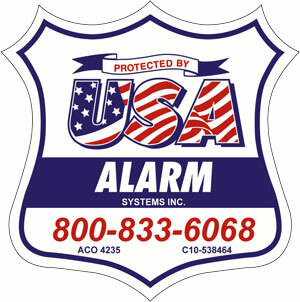 USA Alarm Systems has been servicing California since 1979. Not only has our company been actively involved in the Alarm industry, but both owners at USA Alarm Systems are past presidents of the California Alarm Association. Also one owner is the past President of the National Burglar & Fire Alarm Association (now known as the Electronic Security Association). What does this mean? That we have actively been involved in improving the Alarm industry to benefit and help increase everybody’s safety and security. Our goal is to provide you with excellent service. We stand behind the commitment our shield represents. Scroll further to learn more about our services and the industries we serve.